You may qualify for reimbursement of relocation expenses in accordance with agency policy. This is located in the Department of Health and Human Services, Centers for Disease Control and Prevention, Center for Global HIV and TB, Overseas Strategy and Management Branch, located in Dar Es Salaam, Tanzania. CDC is an Equal Opportunity Employer. o Direct and oversee multi-functional program activities involving a broad and complex range of public health programs that are operated domestically or aboard. o Serves as senior public health and management coordinator of national and international public health program activities. o Identify and analyze issues and their impact on public health policies. o Consult on, monitor, and measure the outcome of these programs through studies which evaluate the effectiveness of project activities in meeting the needs of program participants. o Lead the design, implementation, and analysis of significant collaborative studies with national or international policy or program implications. o Serve as the main liaison to coordinate study activities with participating public health organizations. o Design and execute programs or projects that provide essential information for important segments of the general public. o 1. Security and Background Requirements: If not previously completed, a background security investigation will be required for all appointees. o Appointment will be subject to the applicant’s successful completion of a background security investigation and favorable adjudication. o Failure to successfully meet these requirements may be grounds for appropriate personnel action. In addition, if hired, a background security reinvestigation or supplemental investigation may be required at a later time. o Applicants are also advised that all information concerning qualifications is subject to investigation. False representation may be grounds for non-consideration, non-selection and/or appropriate disciplinary action. o 2. E-Verify: If you are selected for this position, the documentation that you present for purposes of completing the Department of Homeland Security (DHS) Form I-9 will be verified through the DHS “E-Verify” System. o Federal law requires DHS to use the E-Verify System to verify employment eligibility of all new hires, and as a condition of continued employment obligates the new hire to take affirmative steps to resolve any discrepancies identified by the system. o The U.S. Department of Health and Human Services is an E-Verify Participant. o 3. Direct Deposit: All Federal employees are required to have Federal salary payments made by direct deposit to a financial institution of their choosing. o 4. All qualification requirements must be met by the closing date of the announcement. o 5. One-year probationary period may be required. o 8. Time in grade (TIG) must be met within 30 days of the closing date of the announcement. o 9. Mobility agreement may be required. o 10. Medical clearance are required. o 11. U.S. Citizenship is required. o 12. You may qualify for reimbursement of relocation expenses in accordance with agency policy. 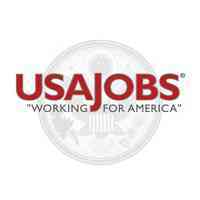 Applicants must have at least one year of specialized experience at or equivalent to at least the GS-14 grade level in the Federal service as defined in the next paragraph. Specialized experience is experience which is directly related to the position which has equipped the applicant with the particular knowledge, skills and abilities (KSAs) to successfully perform the duties of the position to include experience providing leadership, guidance, in the design, implementation and analysis of public health policies involving national or international programs. Who May Apply: Current HHS employees with career or career-conditional appointments in the competitive service; and PHS Commissioned Corps Officers. PHS Commissioned Corps Officers interested in performing the duties of this position with the Commissioned Corps may apply online to this announcement. Candidates will be referred as (CC) personnel and not as candidates for conversion to a permanent career or career-conditional appointment. This vacancy is also being announced concurrently with vacancy announcement HHS-CDC-OD-19-10419116 under competitive procedures. Please review that announcement to see if you are eligible for consideration under competitive procedures. NOTE: Applicants must apply separately for each announcement in order to be considered.CDC is an Equal Opportunity Employer. Documenting experience: In accordance with Office of Personnel Management policy, federal employees are assumed to have gained experience by performing duties and responsibilities appropriate for their official series and grade level as described in their position description. Experience that would not normally be part of the employee’s position is creditable, however, when documented by satisfactory evidence, such as a signed memorandum from the employee’s supervisor or an SF-50 or SF-52 documenting an official detail or other official assignment. The documentation must indicate whether the duties were performed full time or, if part time, the percentage of times the other duties were performed. It is expected that this documentation is included in the employee’s official personnel record. In order to receive credit for experience in your resume that is not within the official series and grade level of your official position, you must provide a copy of the appropriate documentation of such experience as indicated above. o Term appointments may be shortened or extended up to a maximum of four years based on the needs of the agency without further competition. Subsequent employment for CDC positions must be through the appropriate competitive process or special employment program hiring authorities. o Temporary promotions may be extended up to a maximum of five years based on the needs of the agency without further competition. o Temporary reassignments may be extended up to a maximum of six years based on the needs of the agency without further competition. Overseas Assignments: Overseas assignments are for two years. The assignment may be extended based on the needs of the agency. Upon completion of the overseas assignment, CDC employees on temporary promotion/reassignment will be placed in accordance with CDC placement procedures. Subsequent employment for all others for CDC positions must be through the appropriate competitive process or special employment program hiring authorities. o This position will be entitled to comparability pay once deployed to overseas location. o Immunizations are required and will be administered by the CDC before relocating overseas. o To work overseas for the CDC, the selectee will need to obtain security and medical clearances before being cleared to report to the overseas duty station. Continued employment will be subject to submission of all documentation necessary to obtain the medical and security clearances (including documentation for any accompanying dependents), within thirty (30) business days and obtaining the security clearance within six (6) months of the initial appointment. Please note the inability to secure the clearances necessary for overseas duty will result in the termination of the appointment to the position. • Citizens or permanent residents of the host country are not eligible to be considered. o Current permanent status CDC employees will be processed using the appropriate temporary promotion or other temporary assignment authority for permanent employees of CDC. The selectee will have statutory return rights to their permanent CDC position title, series and grade once the overseas assignment is completed. o Other current permanent status HHS employees will be hired on a term appointment. There are no statutory return rights. Subsequent employment for CDC positions must be through the appropriate competitive process or special employment program hiring authorities. Knowledge of administrative laws, policies, regulations, and precedents. Knowledge of qualitative and quantitative methods. Your résumé showing work schedule, hours worked per week, dates of employment and duties performed. The complete Application Package must be submitted by 11:59 PM (EST) on 03/18/2019.